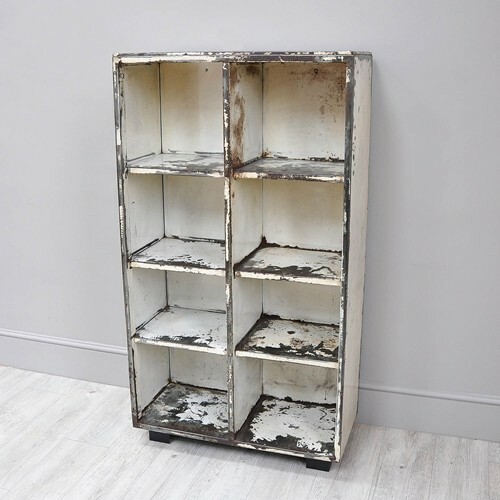 Lovely painted vintage pigeonholes in general good condition. We love the beautiful green original paint. The pigeonholes are showing a few signs of love and use, which only add to their rustic charm. Very versatile, they can be presented horizontally or vertically. A wonderful and creative addition to any home.